As one of the largest and most important cities in the Valley of the Sun, Chandler, Arizona is home to more than 260,000 people. The town has become a center of business, culture, and education, attracting visitors and new residents from all over the country. It is particularly famous as a site of computer chip manufacturing. Companies like Intel have used the city to introduce new sustainable chip production methods, which allow them to make chips more efficiently and at a fraction of the environmental cost. Thus whether you’re interested in computer technology or preserving the planet, Chandler should be on your radar. Phoenix Internet offers Chandler’s computer chip manufacturers and other advanced producers access to the fastest and most reliable Internet services on the market. Such services are essential for selling something as innovative and unique as sustainable chip production. In order to sell sustainable technology on a large scale, producers must explain to the public what the environmental benefits of their tech are and why they matter. This requires a coordinated marketing campaign, and nowadays, such a campaign must be conducted principally over the Internet. By providing reliable business Internet at speeds up to 100 megabits per second, we allow companies like these to market sustainable tech without limit. Besides sustainable manufacturing, Chandler is a leader in tourism. The town benefits from being home to a cornucopia of historic sites, including the Suhwaro Hotel, the Edwards House, the Price Building, and the Southern Pacific Railroad Locomotive 2562. Tourism and hospitality businesses in Chandler need to reach out to potential visitors all over the country and publicize these historic sites. We provide the quality Internet connections they need to do this. In this way, we keep money and interest flowing into Chandler at all times. 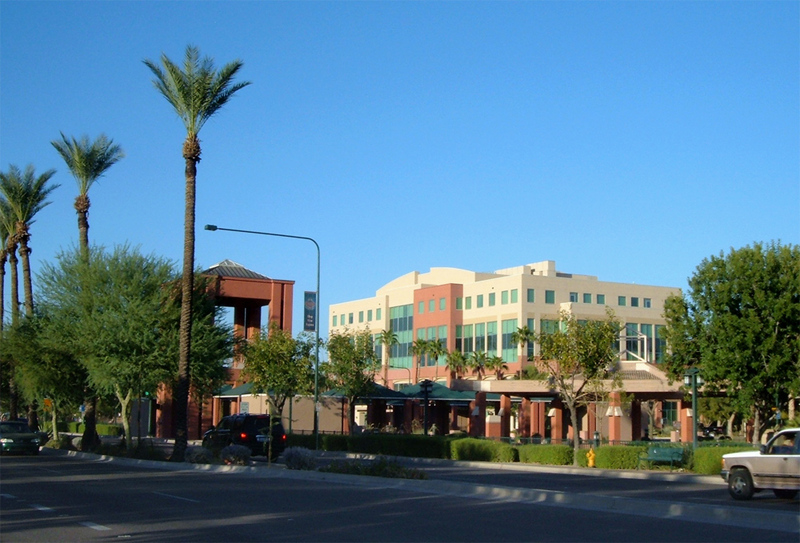 Phoenix Internet’s headquarters are just a 45-minute drive from the Chandler city center. To get there, start by taking North Colorado Street, and make your way onto AZ-101 Loop N. Follow this for five miles. Then take US-60 W for another five miles, before merging onto I-10 W. Follow I-10 for 11 miles, keeping left after the first five so that you stay on the highway. Then take exit 143C, make your way onto Grand Avenue, and follow that for about three miles. As Internet providers in Chandler AZ, we’ll be happy to set up your new business connection as soon as you arrive.